Summary: A man desperately in need of bladder relief makes an unwise choice. Reporter: Ken Rice, KDKA on The CW Airtime: 36 seconds on May 30 Visuals: * Rice's mesmerizing eyebrows. * A long view of the street where the drunken man allegedly exposed himself. Highlights: * When Rice reports, "And a man's under arrest tonight, accused of exposing himself in front of some kids. It happened in ... Mount Oliver. Police say the man was apparently drunk and needed to go to the bathroom." * When a male resident of the street where the incident occurred recounts, "My kids were outside playin' and my daughter come runnin' up sayin' there's a guy standin' outside with his pants pulled down and I came out and I asked him -- I says, 'Hey, what's your problem?' and he just looked at me. I says, 'Why are you pullin' your pants down in front of my kids? I'll rip your neck off,' and he ran down the street." What We Learned: If you pee in public, urine big trouble. Unanswered Question: There's an outside bathroom in Mount Oliver, Ken? News Value: 0. I think Dad threatened to rip off the wrong appendage. But that's just me. Summary: Another unkempt home is discovered -- this time in Uniontown, Fayette County. Reporter: Kimberly Easton, WPXI Channel 11 Airtime: 1 minute, 36 seconds on May 30 Visuals: * The obligatory shot of a lone teddy bear lying on the ground. * The caption, "HOUSE OF FILTH" with a graphic of disproportionately large cockroaches that appear to be magically "flying" in the front door. Highlights: * When Easton announces, "[This woman] who lives [at this address] in Uniontown watched as Child and Youth Services removed three toddlers ..." * When she adds, "Police say a call from a relative concerned about the children's welfare is what made them respond. 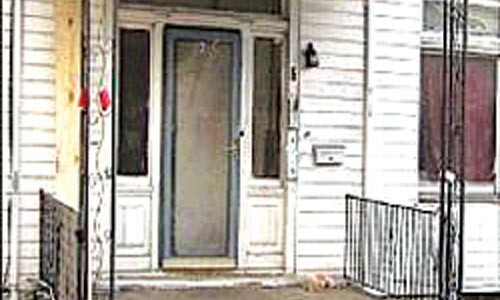 When police found the children, the floor of the apartment was covered in feces. Police say the children had no food, head lice and cockroaches were [insert extra "breathiness" here] everywhere!" * When she continues, "And while police were at the home, they say the eldest child appeared visibly hungry, eating Popsicle after Popsicle." * When Easton concludes, "At this time, police have not charged the parents with anything and are not releasing their names." What We Learned: PR flacks -- if you ever want the news to show up at one of your events, all you have to do is tell them, there will be cockroaches! Unanswered Question: Can someone tell me where the "story" is here? News Value: 0. 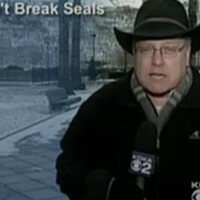 And the TV-news crews that show up for this kind of sensationalistic reporting are just more litter on the front lawn.